Dri-Eaz Microban Milgo Plus inhibits growth of mold and mildew and handles tough odors like urine, sewage, and perspiration. A safe, one-step hospital-grade disinfectant cleaner, designed specifically for the needs of water damage restoration. Sanitizes porous and nonporous surfaces, and can be used for general cleaning and disinfection. Each bottle makes up to 64 gallons of solution, because of it's 1:64 dilution ratio. 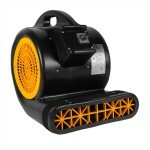 Use in combination with our axial flood fans, our Dri-Eaz dehumidifiers, and our Dri-Eaz Milgo deodorizer to completely eliminate all mold and mildew, plus odors. Manufactured exclusively for Dri-Eaz by Microban, Milgo Plus is a professional strength disinfectant cleaner that kills Methicillin-resistant Staphylococcus aureus (MRSA) and protects against a wide range of other bacteria, viruses and fungi. Milgo Plus kills Hepatitis C, Pseudomonas, Legionella, HIV-1 and many other potentially dangerous microorganisms – making it the ideal disinfecting tool anywhere cross-contamination is a concern. EPA-approved and available in all U.S. Check bottle label for specific instructions. Intense cleaning & sanitizing power. Sanitizes porous and nonporous surfaces. This is a review for the Microban Milgo Plus Antimicrobial Sanitizer Solution.